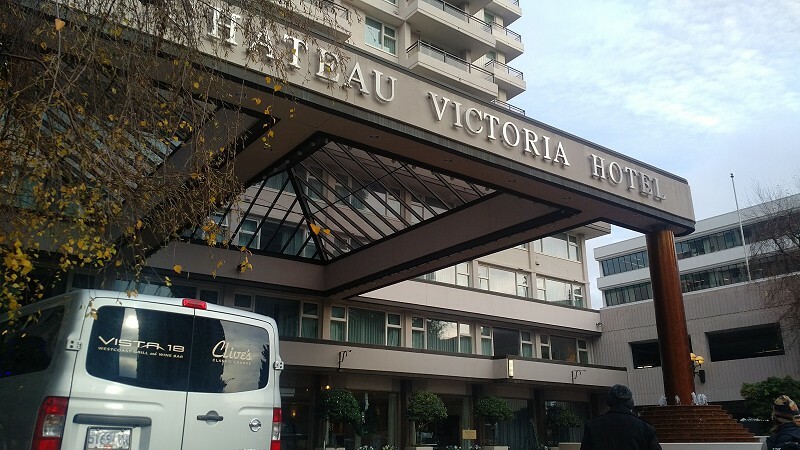 We stayed at the Chateau Victoria this past New Year’s and it was a functional choice in a fantastic location. It’s on Burdett Ave with an interesting topography due to it being on the side of a hill. When I was using Booking.com’s link for Victoria, it showed me square footage for the various choices. This was important for me and Chateau Victoria was consistently showing more space than others. We had a suite with a queen bed and another room with another queen and a pull out. This served our family of four well. We did not have time to try any of the restaurants, but the room service was decent and quick. The staff we all nice and the parking was easy to use. 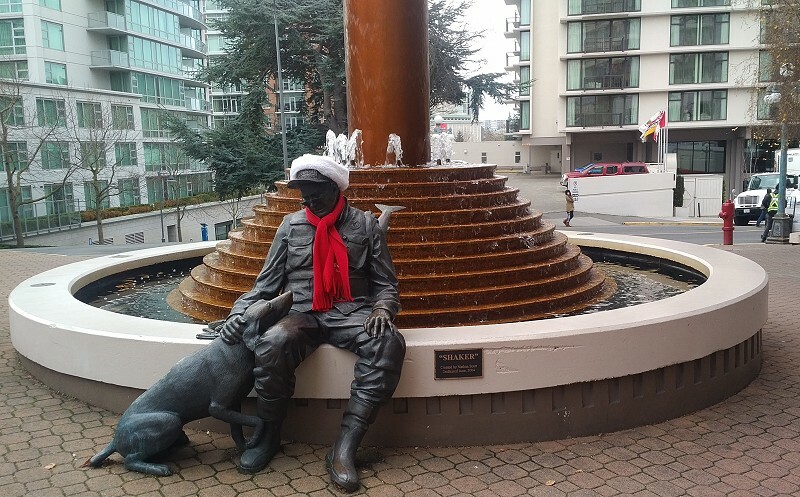 Being walking distance to all of downtown Victoria and the Inner Harbour was terrific. This statue in Chateau Victoria’s drop off area had me fooled for a second!